When I’m home in Southern California, we usually spend our evenings watching movies or playing games from the comfort of our own living room. It’s just easier with a toddler to do things at home. My recent trip to Germany with Athena in tow proved that getting out in the evening is not only possible but fun for the whole family. 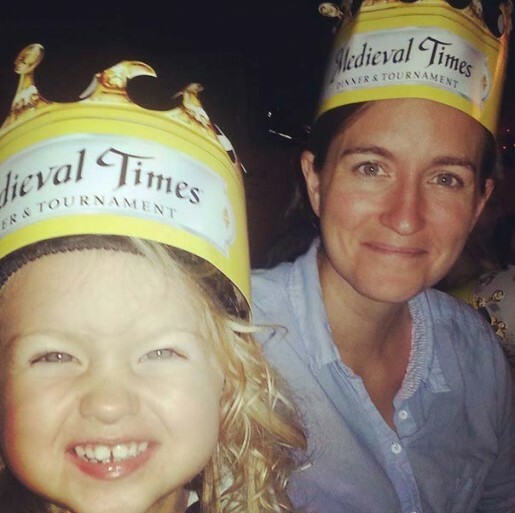 With new eyes for evening entertainment we decided to give Medieval Times Dinner & Tournament a try. It felt like a good starting point – horses, scrumptious food that you eat with your hands, princess dresses, and rowdy guests. Even if Athena was upset, chances are no one would notice; she’d just be someone else yelling in the crowd. 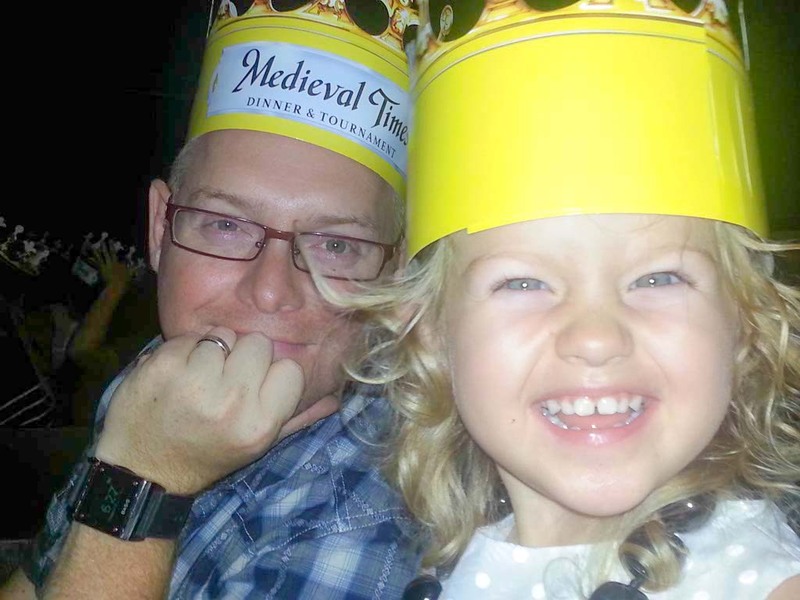 We were excited from the time we entered the door at Medieval Times until dreamland last night. It continued our belief that life doesn’t have to end at 7 pm because you have a child. 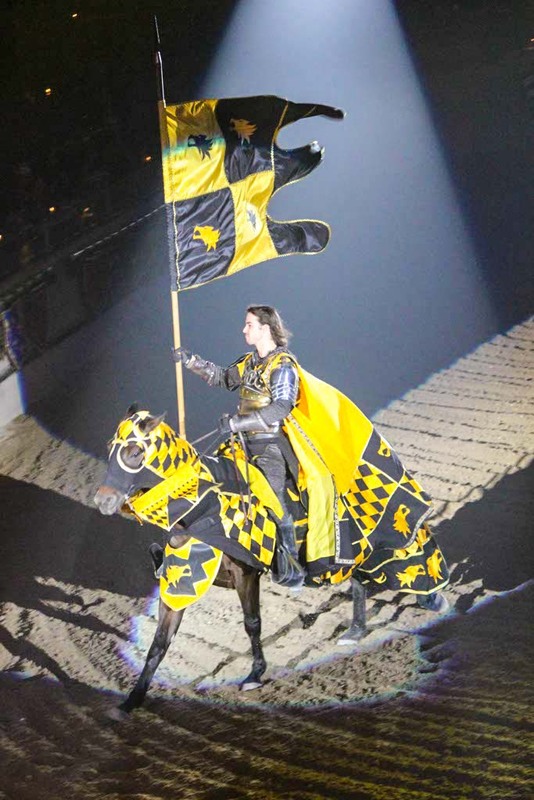 Our Medieval Times evening began with a round of drinks and an introduction to the show; we discovered a feast for the eyes and the taste buds. Athena was given a booster seat but our spot at the back allowed her to stand on her seat the entire show. We could see perfectly and we had the freedom to move around without worrying about the people behind us. The back row might be the best option for families with small children. We marveled at awe-inspiring horsemanship and falconry while we dined on a four-course meal that included soup, chicken, ribs, potatoes, apple dessert, and 2 complimentary refills of soda or ice tea. A child ticket is $20 less than an adult ticket, but Athena was given the same portions as us. Darren and I shared her leftovers but we didn’t dare touch the apple pastry. She always has room for dessert. It’s easy to tell she’s my child. The crowd yelled and cheered as the horses performed unique tricks for the audience. Athena kept looking at me every time she yelled to make sure it was okay. It took a little getting used to but she truly enjoyed the excitement around her. She gave me the same side glance every time she picked up the food with her fingers. It was every kid’s dream – free reign to use your hands wile eating and scream as much as you want. 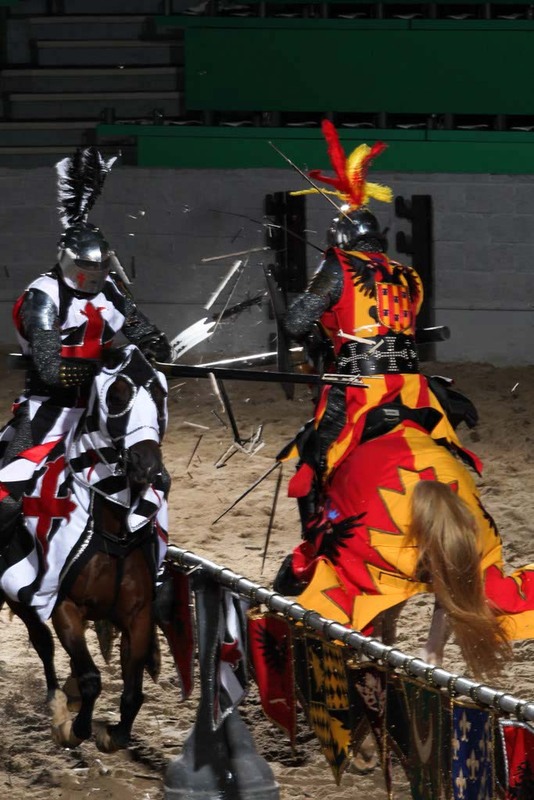 The live jousting tournament began as we finished our meal. I worried that the fighting might upset Athena but she was so transfixed by the horses and their graceful, stunning movements that she didn’t pay as much attention to the men. She watched the entire show excitedly; watching her was an equal treat for me. She looks at the world around her with such wonder. Just witnessing it is a pure joy. 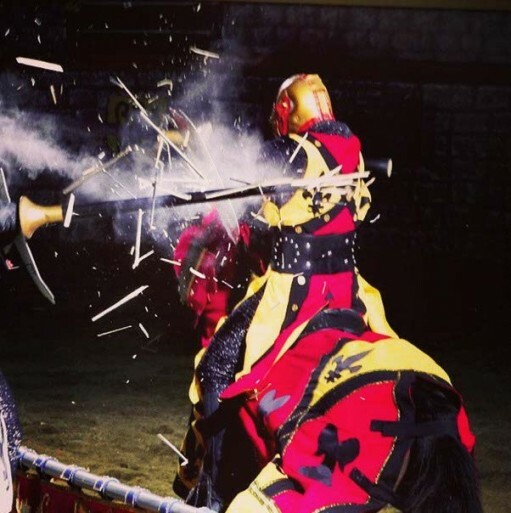 The atmosphere, the staff, the culture, and the entertainment at Medieval Times Dinner & Tournament created a fun evening for the entire family. 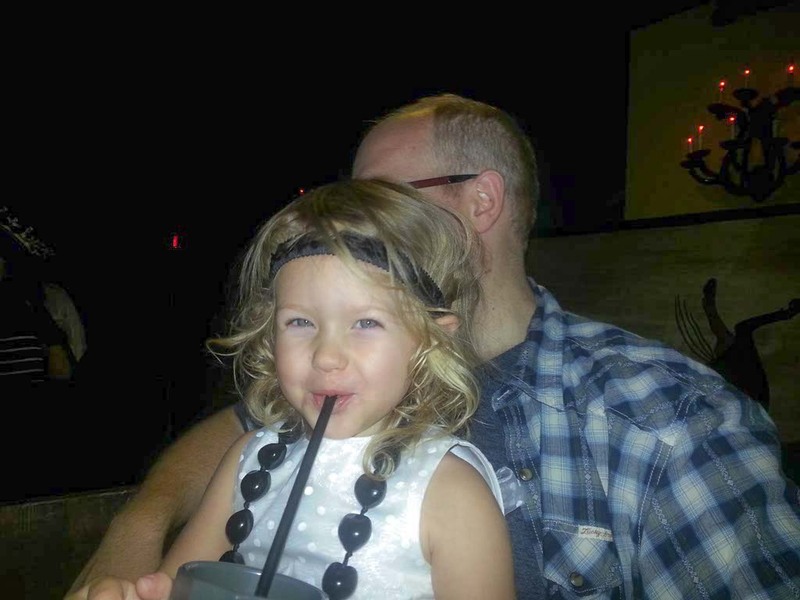 Every time we try something new I’m encouraged by Athena’s positive, excited attitude. She may not remember these moments but I will always look back on them fondly.